After a slight lull last weekend, almost every big game you can imagine is back today with tournaments and matches playing in cities near and far. While the Counter-Strike and League of Legends headline the action with Intel Extreme Masters tournaments, Smash Bros., Dota 2, and few others return as well. Details on when and where to catch all of the action are below. The Intel Extreme Masters 2016 in Oakland, California takes place this weekend. With a $300,000 prize pool at stake, the remaining teams will battle it out starting with today’s first quarterfinal match at 1:45PM EST featuring SK Gaming vs. G2 Esports. The finals are scheduled for tomorrow night at 9:00PM EST. 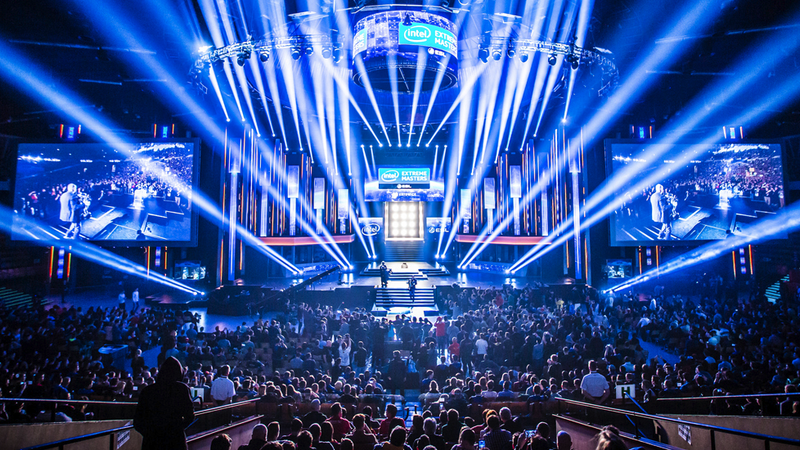 You can watch all of the IEM CS:GO matches here. You can also find Rogue taking on Epsilon eSports tomorrow at 12:00PM EST in the ESEA Season 23: Global Premier Challenge, followed by Space Soldiers vs. GODSENT at 2:00PM EST. Those matches are available to watch here. The much anticipated Boston Major is right around the corner. If you want to start getting jacked for all of that Dota 2 mayhem, however, this weekend’s Summit 6 tournament has you covered. Today’s matches start with Evil Geniuses vs. Team NP at approximately 1:00PM EST, followed by Wings Gaming vs. DC Dota 2 later in the day. The winners of those games will then face each other tonight to see who will get a shot at making it out of the loser’s bracket to eventually take on Virtus Pro tomorrow at 4:00PM EST. You can watch the rest of the tournament here. Was the two week break between Worlds and this weekend’s Intel Extreme Masters tournament enough for you? Yea, that’s what I thought. The quarterfinals begin today at 1:00PM EST, with the grand finals scheduled for tomorrow night at 8:00PM EST. You can watch those matches here. If you want to see how the pros are handling the recent introduction of Sombra, look no farther than the Carbon Master’s playoffs. Despite a total prize pool of under $10,000, some of the best teams in Overwatch will be facing off against one another and a few teams from open qualifying starting with today’s quarterfinal match pitting Immortals GG against Denial eSports at 2:00PM EST today. You can watch all of those matches here. You can also catch some scrappier action in the world of Overwatch with the Underdogs Season 3 streaming here. The Red Bull Team Brawl takes place today, beginning around 3:00PM EST. Teams of three will compete against one another in the “sealed” format in which each team must use a limited set of 240 cards to create their decks. Imagine the eccentricity of a weekly Tavern Brawl but with teams in a tournament structure. You can watch that chaos here. Competitive StarCraft II returns this weekend in the form of the HomeStory Cup XIV. The second group state takes place today starting at 1:00PM EST. The whole thing takes place in this dude’s home. In addition to stiff competition, there’ll be interviews and other stuff to cater to all your StarCraft II needs. The whole thing is really rad, and you can watch it all here. Smash United Presents: Battlegrounds 3 is this weekend with over 300 entrants. You can watch Smash 4 matches here, and Melee matches here. Matches started today at 11:00AM EST and will continue through the rest of the day concluding tonight by around midnight. You can also catch today’s KTAR XIX tournament, featuring players like ZeRo and MKLeo, here. If you missed last weekend’s dramatic regional championships for NA and EU Rocket League, don’t worry, you can still watch car ball to your heart’s content with the Cross Pacific Championship Cup. Taking the best teams from regions often ignored by the pro gaming scene, the Pacific Championship will search for the best Rocket League team across South America and Oceania. The bracket is available here, and the games can be streamed live here and here.